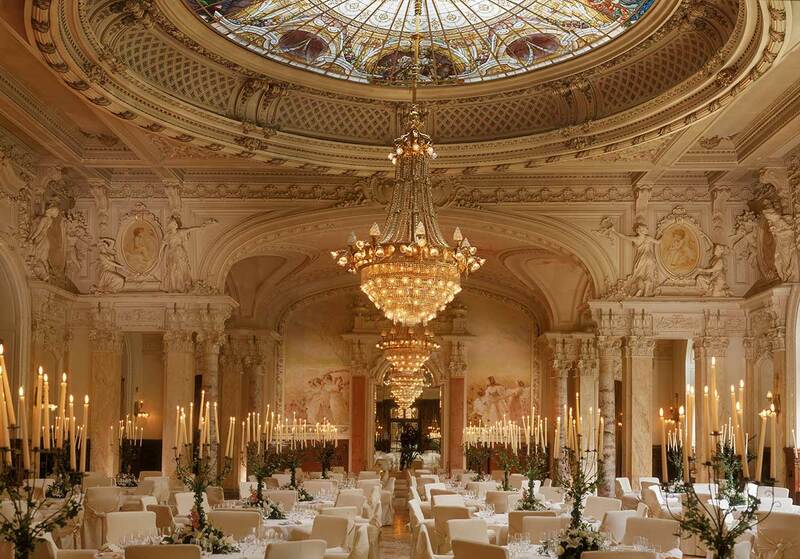 For nearly 150 years, the Beau-Rivage Palace, a Leading Hotels of the World, has been Switzerland’s finest hotel and one of the world’s most attractive palace resort. Entering the Beau-Rivage Palace transports you into another world. This luxurious hotel is situated in Lausanne, a city known for its vibrant lifestyle. 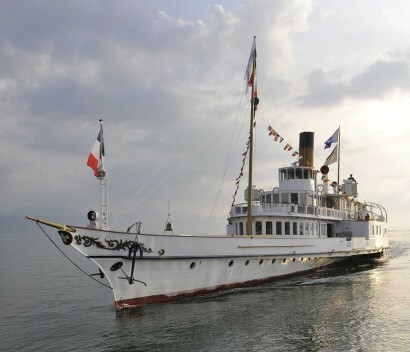 Located in 10 acres of private gardens on the banks of Lake Geneva, the elegant belle époque buildings of the Beau-Rivage Palace command breathtaking views across the lake to the majestic Swiss and French Alps beyond and is only 40 minutes from Geneva International Airport. Four restaurants provide guests ample cuisine from which to choose. In association with the famous French Chef, “Anne-Sophie Pic au Beau-Rivage Palace” has been awarded two Michelin stars. 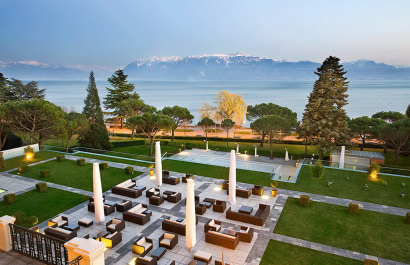 The Café Beau-Rivage serves brasserie-style fare in sophisticated surroundings, with a large terrace facing the lake. The refined and stylish sushi restaurant Miyako Lausanne offers you exquisite sushi prepared on the spot. At the end of the day, the new BAR offers you a world class cocktail experience. Time seems to stop altogether, when you visit the CINQ MONDES SPA. This 15,000 square foot spa is a heaven for relaxation and pampering, offering a variety of massages and treatments. Scented baths, a Promenade of Tropical Rain, Balinese or Taoist massages … You will discover in beauty rituals from the world over, a complete release from the stresses of daily life, even a sensation of contemplating the infinite! Here are also available 8 treatment rooms, 1 private Spa suite, an indoor and an outdoor swimming pool, sauna, Jacuzzi, a completely equipped gym and two tennis courts. Each child is a unique guest at the Beau-Rivage Palace and is greeted with a personalized welcome. 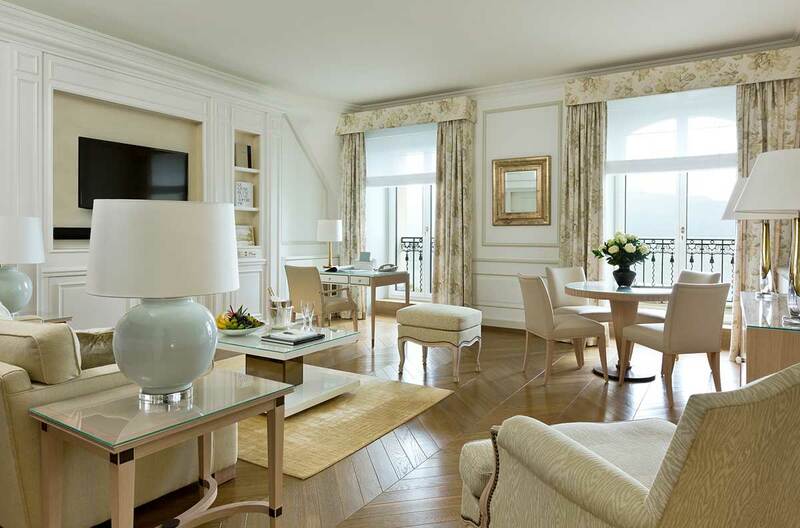 Whether you are travelling on business or leisure, the Beau-Rivage Palace provides the impeccable service including also a special kids program to make your stay truly unforgettable. Giving new impetus to the hotel’s longstanding maxim of “La Tradition en Mouvement” (Tradition in Motion), the bedrooms of the Palace wing are being upgraded to provide more space, relaxing colours, and to meet environmental concerns. The interior design project has been assigned to Pierre-Yves Rochon. 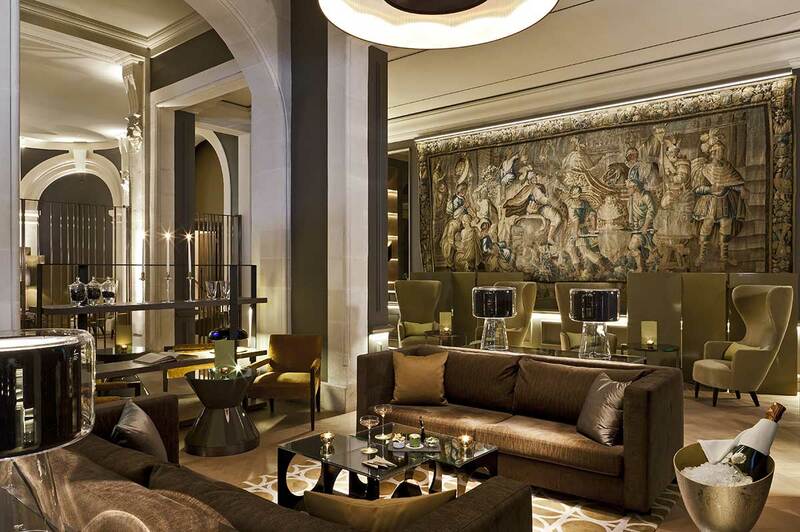 The exquisite eye of Pierre-Yves Rochon Work began in autumn of 2012, with the first 37 bedrooms ready in April 2013. The remaining 61 will be renovated from this autumn and are due to be completed in April 2014. The first stage includes two suites. One is a duplex and comprises two bedrooms with separate bathrooms. Located on the 5th floor, it enjoys a spectacular view over Lake Geneva and the French Alps: perfect for family holidays. 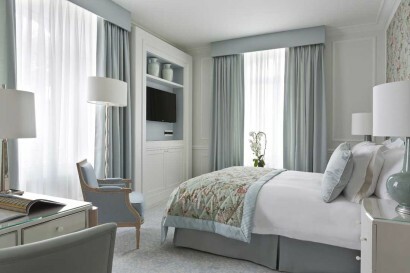 The second suite is literally dedicated to relaxation and wellbeing since it is a Spa-Suite. 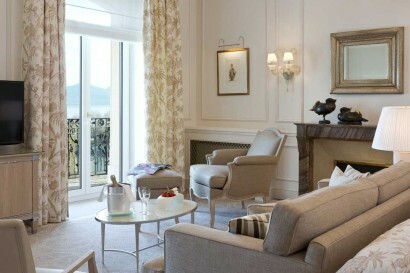 As well as a beautiful bedroom with an 180° view over the lake and the Alps, it has a lounge area with a fireplace. The chief attraction is a 50m2spa area, comprising two massage/relaxation tables, a Jacuzzi bath and a hammam. 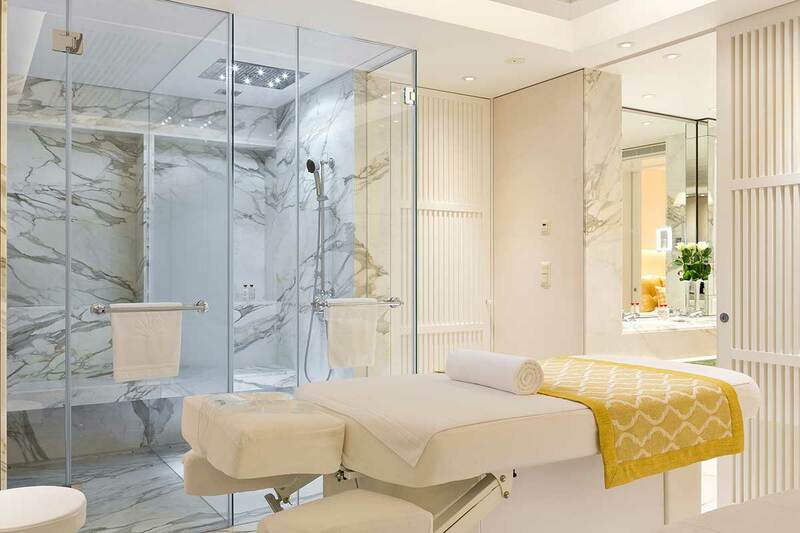 All the treatments of the Cinq Mondes spa are available in the private setting of this 100 m2 suite. • Outstanding location on the shores of the lake and only 5’ from city center. • Spa Suite: Designed for health and wellbeing holidays, the Spa suite consists of a lounge, a bedroom and an immense bathroom with its own spa area. Private spa in the suite: Guests have access to Cinq Mondes spa treatments provided in the comfort of its own two massage tables and hammam. With a passion for travel, massage, aromatherapy and cosmetics, Jean-Louis Poiroux, Cinq Mondes’ founder, has been exploring the world for the last 10 years to discover the best massage and beauty treatments around. The spas Cinq Mondes, Rituels de Beauté ® now offer a superb range of beauty treatments and well-being traditional ceremonies of the highest quality. 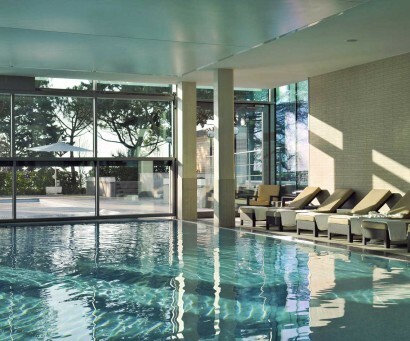 A distinctive feature of the spa is its entrance where two swimming pools face one another like a mirror: one outdoors measuring 20m and the other indoors measuring 18m, next to which is the jacuzzi. The Cinq Mondes products combine the benefits of phytotherapy and aromatherapy. At the heart of these natural formulas are vegetal components used in ancient traditional medicine from around the world, essential aromatic oils and 7 innovative developments patented for outstanding care products, mixing ancestral traditions with the high-end of the French cosmetic’s industry. Conceived by the Parisian laboratories of the brand, the name of Beauté du Monde® epitomises a safe, highly effective and wonderful sensorial journey. Whether for a press conference, business seminar or other business meeting, the reception rooms at the Beau-Rivage Palace are ideal. The quality of service and the expertise of our teams mean you can focus on what matters most to you, the content of your event. Entrust the details of the actual day to our “seminar service” assistant, who will ensure a successful event by dealing with any issues that may arise on your behalf. The Salle Sandoz is the absolute jewel of the Beau-Rivage Palace. Built in 1908, many outstanding events have taken place here, from the negotiations of the Treaty of Lausanne to Phil Collins’ wedding. The Sandoz and La Rotonde are dream settings in which to hold your wedding reception. As well as being a magical ambience for you and your guests, you can place the management of this unique day in the hands of our expert wedding organisers. In fine weather the gardens are a perfect place to gather before dinner. You might also consider holding your civil marriage ceremony on the water, on the steamboat “Montreux”, authorised to conduct marriages by the register office of Lausanne. Thibaut Panas, chef sommelier of the Beau-Rivage Palace, was announced “Sommelier of the Year” 2014.